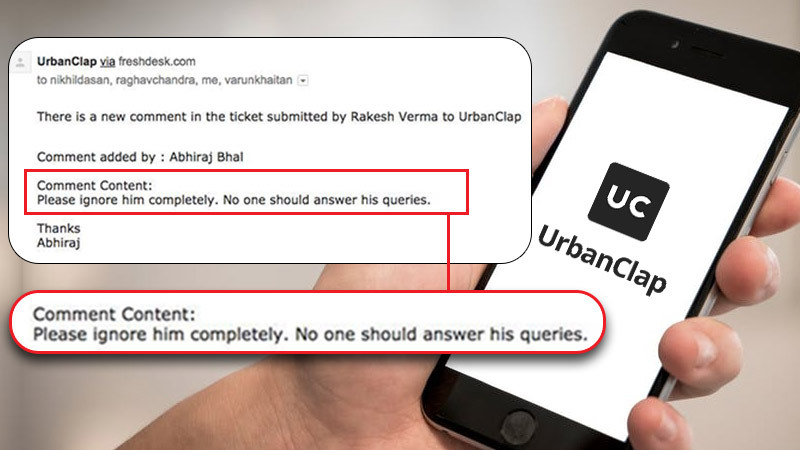 Service provider, UrbanClap has found itself in the middle of a social media crisis, as the company’s co-founder Abhiraj Bhal accidentally marked the concerned consumer in an internal email, while asking his team to “ignore him”. 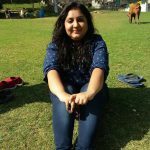 The email was related to an on-going grievance, by Rakesh Verma, who accused UrbanClap of poor services and demanded a refund. It all began when Verma called for an AC technician from UrbanClap, who did not fix the machine and stopped taking the customer’s calls. Verma had to vacate his flat in a month and needed to fix the AC for his security deposit. As a trail of emails and calls ensued, Verma and UrbanClap were caught in the midst of a number of accusations, leading to uneven versions of the event from both ends. Twitter caught a whiff of the matter when a friend of Verma’s posted the “Ignore him” email by Bahl on Reddit. In a matter of hours the image went viral, with social media users sympathising with Rakesh Verma. 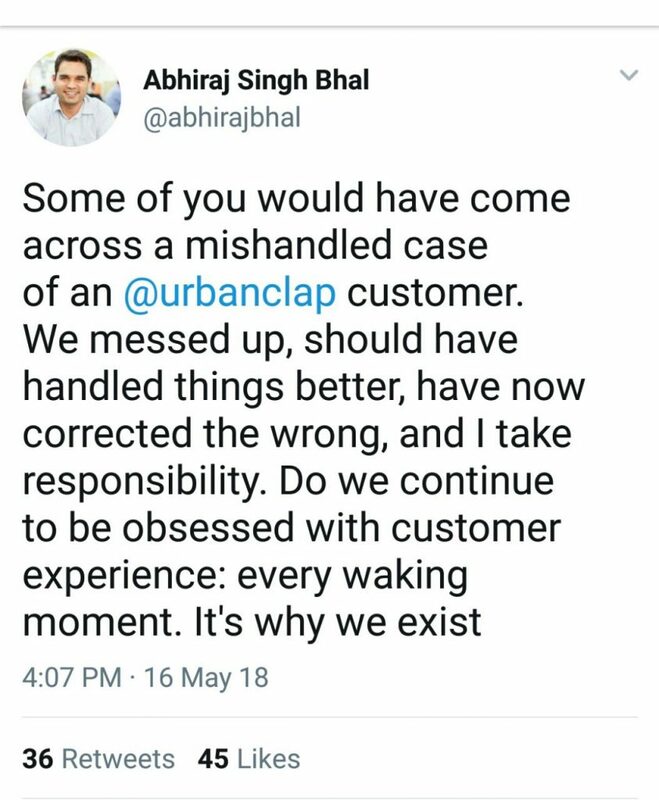 PSA: Phenomenal customer service by @urbanclap CEO @abhirajbhal! And the @urbanclap CEO called up the customer's CEO and threatened legal action! In an attempt to curb the crisis, Abhiraj relayed his side of story on the same Twitter thread which further resulted in a scathing reply by Verma. “Was this the best UrbanClap stands for – certainly not. But I can tell you – we care for our customer deeply, and many of them will tell you that we are more than just a tech-enabled service play. We help our professionals with training, product procurement, loans etc., helping them multiply their earnings. Many of our professionals earn upwards of INR 70-80k per month, and live meaningful lives. Through them, we serve thousands of customers each day, and in the vast majority of cases, our customers are happy. If things go wrong, we are the last folks to wash our hands off,” Abhiraj said in the comment. “As you said, there are two sides to a story, Did you try to listen to my side of the story? NO. Did you give me a chance to speak over the call? NO. Did you reply to any of my mails? NO. In fact, you threatened to sue me if I go on social media and do anything to harm your organization’s reputation. You called MY CEO right after our call telling him you would sue me if I don’t keep calm. Was it a right thing to do as a CEO just because i was consistently asking for help,” Rakesh replied in his comment. As the news spread like wild fire, a number of miffed consumers came forward and shared angst and grievances against UrbanClap. 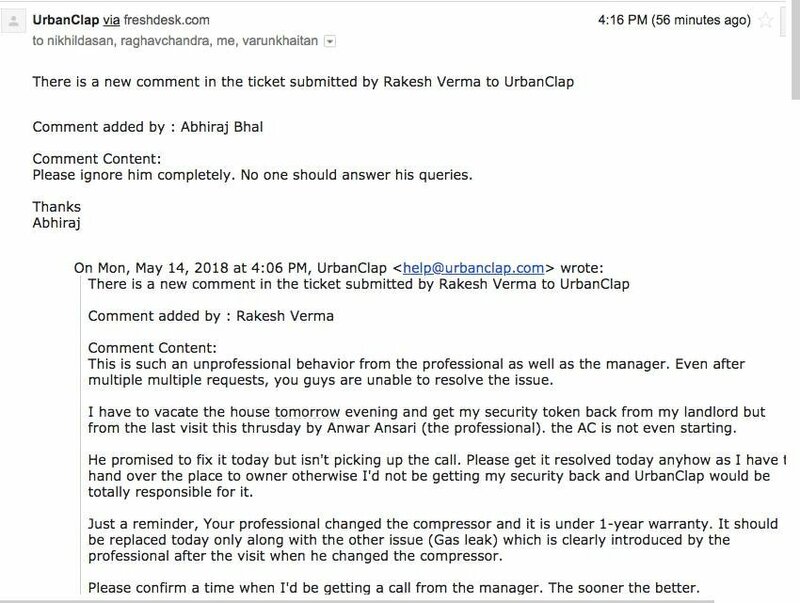 While Rakesh Verma has been active on Twitter, engaging with his supporters, UrbanClap’s Twitter account offers no signs of crisis management, apart from one tweet sharing their co-founder’s reply on Reddit. Just saw this in Reddit. Hope you'd get a resolution soon. Can't believe the CEO doesn't give a damn about customers who're paying him. UPDATE: Abhiraj Bahl further the tweeted the following, taking full responsibility and ensuring corrective measures. This isn’t the first time a brand has been caught in a social media crisis for their services; back in 2014 Amul had been accused of compromised product by a consumer on Facebook.